This waist belt is plain and lined. 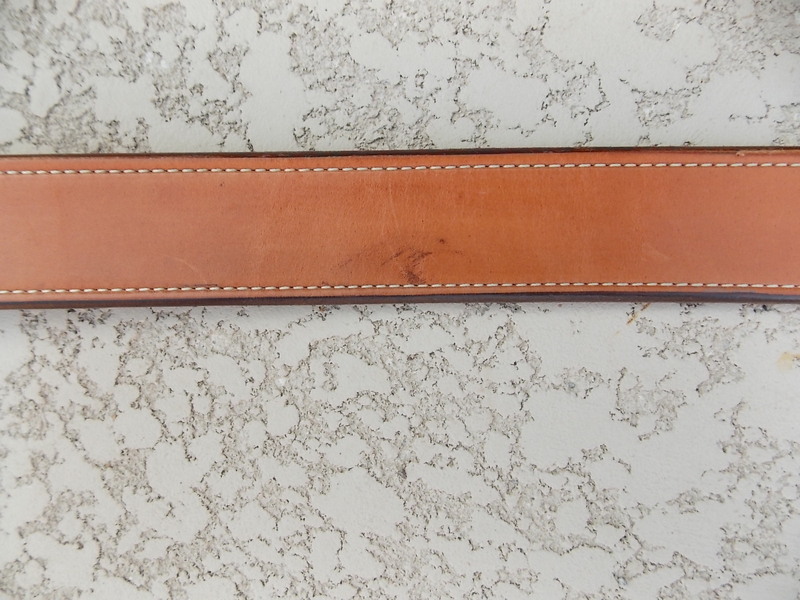 It is a straight 1 1/2' with a solid brass buckle. 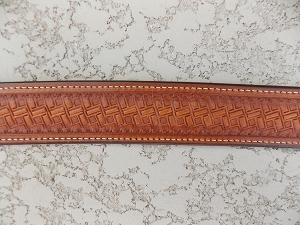 Will fit a 35" waist size.This belt has a small mark on the back. It is a small smear of edge dye.